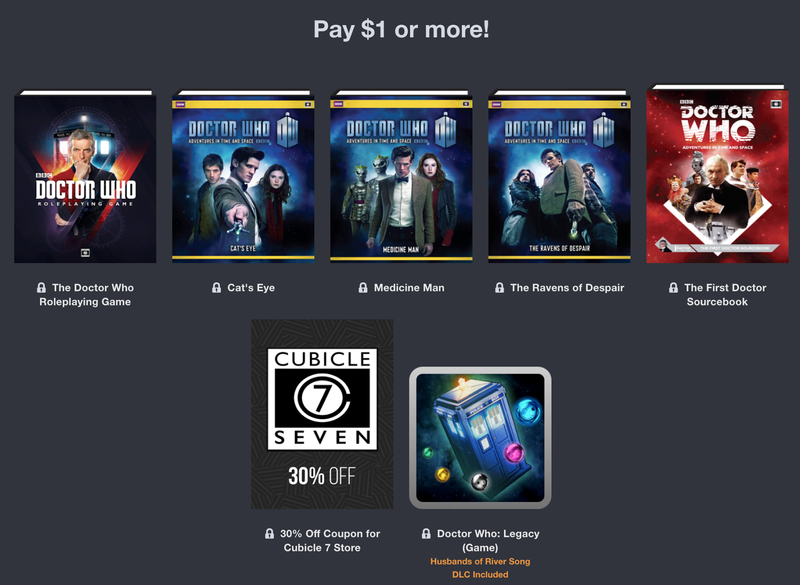 Tenkar's Tavern: Doctor Who RPG at Humble Bundle - Starting at a Buck! Sweet deal, let alone the 30% off at the Cubicle 7 store. 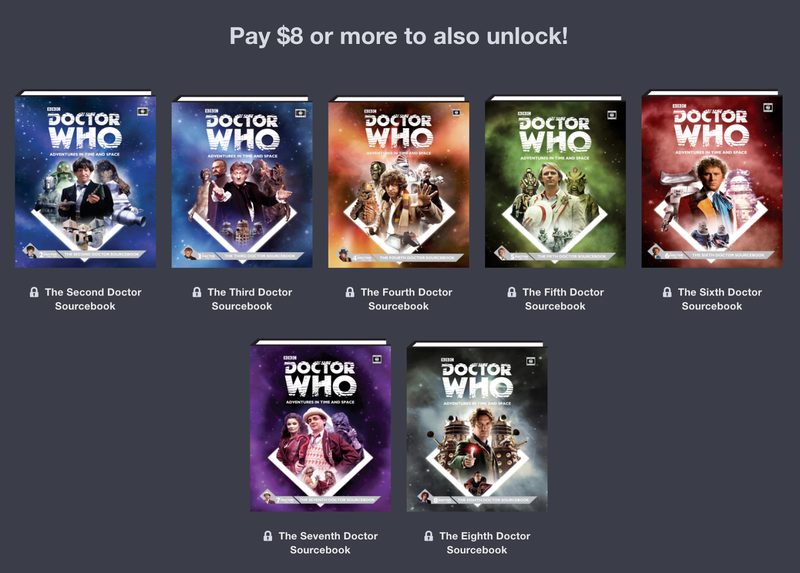 I may go whole hog and get the Classic Who books in Dead Tree format if that cupon works for that sort of purchase.